One of features for Gammu SMSD which was for quite a long time in my head was ODBC support. With unified SQL backend we have right now it should be pretty easy to add support for it so I gave it a try. It really did not take to long and the ODBC driver is committed to git and will be part of next release. The great benefit of this is that we get native database support on Windows without need to linking against database libraries, which is always painful. All important information about the driver should be available in the manual. Published on March 3, 2011, 2:15 p.m.
Well not really. The simple reason is that it does not make sense without further integration with other services. However if you want to deploy such solution, you can now base on example script, I've just pushed to our git repository. It is definitely meant only as example, major reason being storing MySQL user names and passwords in clear text in the PHP script. Published on March 2, 2011, 1:50 p.m. I'm sure this new attractive look will improve user experience of upcoming 3.4 release. You can expect beta release with new theme soon and then we will hopefully smoothly continue through one (or more) release candidates to final release. While making this theme default one, we've also offered team membership to Mike Hommé and I'm quite confident this will be valuable addition to the team. Mike, welcome on board! Published on March 1, 2011, 11:31 p.m.
You can help make translation to your language better! 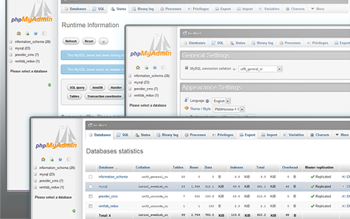 The phpMyAdmin survey for new theme is over and it's time to publish results. Today I will show only basic summary, I will dig deeper into the data later. As the results are quite persuating, this gives no space to discuss. While two themes still have big majority, people are not that convinced about it. I think this is most interesting result - while in question about default theme Graphite theme was clearly the second one, in this question people have indicated that Original theme should stay in the download kit. I would like to thank to all 228 people who have participated (the number is low because the survey required email confirmation, but I still think it is better way than thousands of votes which are easily scriptable). PS: You can see complete results on the survey site. 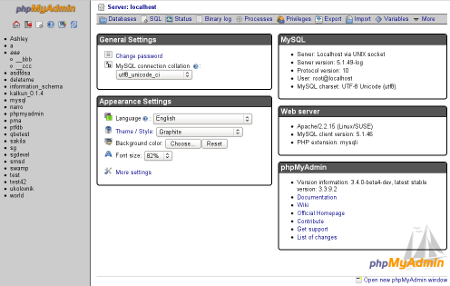 Published on March 1, 2011, 12:23 a.m.
Today, you have very last chance to influence selection of new default theme in phpMyAdmin 3.4. You can choose from five themes (all of them are listed on our wiki). Published on Feb. 28, 2011, 5 p.m. Finally back on track and the photo for eight week is on time. This picture was taken from Letná in Prague. I'm again almost one week late, but here comes photo from seventh week. The good news is that I've managed to process photo for eight week as well so it will follow soon. 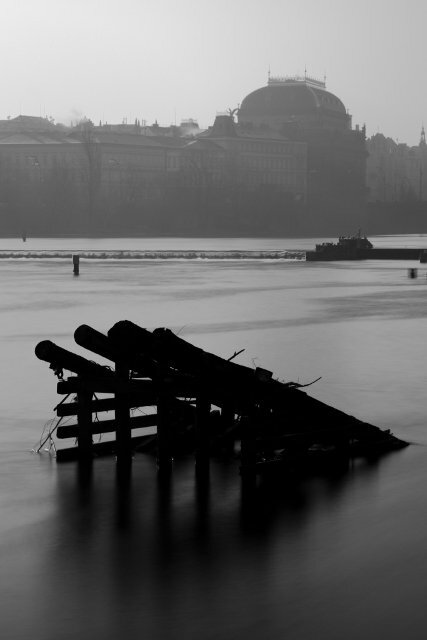 This picture was taken under Charles bridge in Prague. Published on Feb. 27, 2011, 9:40 p.m.
Another week is over and it's time to look again at state of translations for phpMyAdmin 3.4. Compared to last week, there one new translation at 100% this week, thanks to Dutch translators. Published on Feb. 22, 2011, 1:27 p.m.